A number of urine and blood-based biomarker tests have been described for prostate cancer, although to date there has only been a limited exploration of the methodology behind the validation studies that underpin these tests. In this review, a selection of commercially available urine and blood-based biomarker tests for prostate cancer are described, and the underlying key validation studies for each test are critically appraised using the Standards for Reporting Diagnostic Accuracy (STARD) 2015 statement. The ExoDx Prostate Intelliscore, SelectMDx, Progensa PCA3, Mi-Prostate Score, 4K Score, and Prostate Health Index (PHI) tests were reviewed. Most of the validation studies supporting these tests perform exploratory analyses to determine cut-off values in a post hoc manner, comprise cohorts that are primarily Caucasian, report receiver operating characteristic curves that combine the biomarker’s result with established clinical nomograms and are based on a reference standard (prostate biopsy) that lacks central pathology review. Deficiencies in STARD reporting guidelines include frequent failure to provide a published study protocol, prospective study registration in a registry, a flow diagram, justification for sample size determination, a discussion of adverse events with testing, and information on how missing or indeterminate test results should be managed. 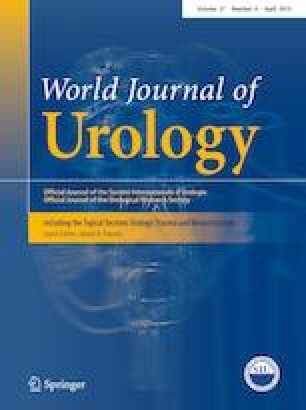 Key validation studies that support many commercially available urine and blood-based biomarkers for prostate cancers have deficiencies in transparency based on STARD reporting guidelines, and limitations in methodology must be considered when deciding when these tests should be applied in clinical practice. VMN: data collection, analysis, and manuscript writing/editing. Vikram Narayan has no conflicts of interest to disclose.